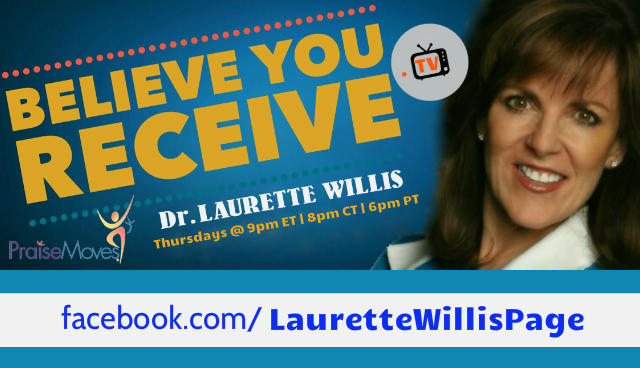 “BELIEVE YOU RECEIVE TV” with Dr. Laurette Willis. *Encouragement * Inspiration * Interviews * Praise & Prayer * Receive a fresh Word from the Lord! 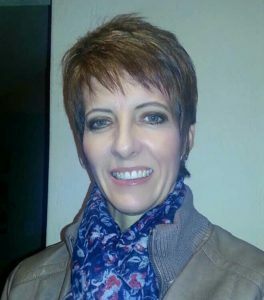 Annelize Obermeyer, CPI from Nelspruit, South Africa near the world-famous Kruger National Park (with LIONS and TIGERS and ELEPHANTS, OH MY!). She loves dance and fitness — and even performed with a dance group for Nelson Mandela! Annelize gives 4 PraiseMoves classes per week–the testimonies are magnificent! She and her husband Peter are coming to the US for the first time this June for PraiseMoves' 10th Int'l Conference. Enjoy this dear sister and receive a glorious prayer she prays for you, too! Kim Todd of New Jersey, CPI and Eagle Award Recipient, is a FULL-TIME PraiseMoves Instructor. Her ministry is to the elderly — in nursing homes, hospitals, senior centers. Giving 11 classes a week, Kim is a minister worthy of her hire–touching lives for Jesus! Episode 21: Certified PraiseMoves Instructor TRAINER on Board! Join Certified PraiseMoves Instructor TRAINER Jessica Guthrie and me as we discuss PraiseMoves, PraiseKICKS, PreNatal PraiseMoves and Sooooo much more!!! Episode 20: Certified PraiseMoves Instructor for over 10 years! Ever wonder about Fitness Ministry? TONIGHT! Meet CPI (Certified PraiseMoves Instructor) Claire Sabeti from Anderson Island, Washington. Claire has been a CPI for over 10 years. Learn what it takes to be a CPI and what drew our vivacious sister to Fitness Ministry. Eye-Opening Interview with former Kundalini Yoga Guru Mike Shreve who had a Dynamic Encounter with Jesus Christ. 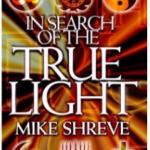 Seen on Sid Roth's “It's Supernatural,” TBN, The 700 Club and elsewhere, Mike is the author of “In Search of the True Light.” Pick up your copy of “In Search of the True Light” HERE. Episode 17: YOUR Faith Can Make You Well! “Daughter, YOUR Faith has made you well,” Jesus said. Amazing comparison between this and “My thoughts are higher than your thoughts” (but they are NOT unattainable!). Luke 4 and Isaiah 55:11 — Powerful! Episode 16: RHEMA: The Quickening Word of God. THIS is how Faith comes! Come join me! RHEMA: The Quickening Word of God. What do Patience (Endurance), being “Complete in Him” and being “seated in heavenly places in Christ Jesus” have to do with there being “No Lack in God”? Wait 'till you hear! Episode 14: Healing–> Possess the Land!!! What does it mean to “walk out” our faith? POSSESS THE LAND! See the Biblical premise — it's true! You have the victory! HOW to access the Joy of the Lord, which is your strength. Episode 12: Christian Meditation: What it IS, and what it is NOT. Today I share from “Soaking in the Psalms.” Excited to soon be releasing our new meditation project with Bonita Curtis, “Soaking in the Healing Scriptures.” YEA!!! How what you SAY affects your life –> and How you can CHANGE IT (with God's Word in the Bible!). EPISODE 10: What do you do when you DON'T KNOW WHAT TO DO? We all have times in our life when we absolutely don't know what to do. Or perhaps we have SO many choices, we're not sure which direction we should go. The Lord has an answer for us in the Bible — here's how! Episode 9: God's MERCY reaches even Beyond His Grace. God's Grace –> You studied, and know some of the answers on the test. God's MERCY –> You didn't even know there was a test; know nothing of the subject; didn't even enroll for this class…and if you don't pass, you're in BIG trouble. YOU NEED GOD'S MERCY! God's MERCY reaches even Beyond His Grace. Episode 8: Is Jesus in Your Boat? PLEASE SHARE THIS MESSAGE WITH SOMEONE WHO NEEDS AN “IMMEDIATELY” IN THEIR LIFE. Amazing things happen when we let the Lord in. “Then they willingly received Him into the boat, and IMMEDIATELY the boat was at the land where they were going” (John 6:21). Episode 7: What does it mean to Worship God “in spirit and in truth”? Do you know someone who LOVES Praise & Worship? Please SHARE! This revelation will bless them. Powerful. What does it mean to "Worship in Spirit and in Truth"? How what you SAY can lead you off-track, and how to get back on course. Plus: Discover THE WORLD'S FIRST “VISION BOARD”–in the Bible! Wow–>It's in the Truth You KNOW. Here's HOW!!! Glory to God! HOW TO BE FREEEE!!! You can Receive & Walk in it. Episode 4: REDEEMED: THE ONE WORD THAT ANSWERS ALL PRAYERS. The realization of this will set you free, glory to God! REDEEMED: THE ONE WORD THAT ANSWERS ALL PRAYERS. What does “DELIGHT” really mean — and how is it linked to CLAY???!!! EPISODE 1: I WILL BLESS THE LORD AT ALL TIMES…here's HOW. HAHA! I didn't know I was “ON,” so taking a drink from my PraiseMoves YDr-8 bottle when we went *LIVE. * Great message from the Word — not because of me, but because of HIM, our precious Lord Jesus!